THURSDAY night football sees my Packers head to Seattle. These two always make a great watch but games in Seattle make me sick inside (NFL regulars will understand why). Should be a shootout and I fancy Doug Baldwin to rip up our secondary. His line is low due to his time missed this season but he’s been in the Press the past few days saying he’s 100 per cent healthy. He is by far and away Seattle’s best receiver and Wilson’s most assured target. Catching 79 per cent of his targets, his yards are easily achievable against our porous secondary. Jaire Alexander has played well but Baldwin will be a tough mark for the rookie. On the other side of offence I like Valdez Scantling's yards. Always under-rated, he can stretch the field but is also coming good in the possession game. Unlucky with the prop mate. Worst thing is Wilson over threw Baldwin in the 1st quarter in the end zone for what would have been easily 15-20 yards so makes that missing 2 yards tougher to take. I ended up with 2 singles on the over as the spread voided on my double. We really need to bet these Bears now or the NFC North is done. Two divisional battles on Sunday are the two best picks I think for tomorrow. Despite the Bears leading the division I’m still not convinced by them considering their mediocre opponents over the last couple of weeks. Take out the Patriots loss over their last seven games, and their opponents have a combined record of 19-38. Those opponents are the Lions, Bills, Jets, Dolphins, Bucks and Cardinals. The only team over .500 is Miami who aren’t overly impressive. Divisional games with two tough defensive lines. I fancy Minnesota to keep it close and potentially win. Take the early divisional game with the Titans in Indianapolis. Mike Vrabels side are under the radar imo and are potentially the best team in their division. The Colts have kept Andrew Luck on his feet (finally, and he is yet to be sacked in four weeks. On the other side of the ball though they allow almost the most yards to opposing teams, and the Titans defense is a much tougher outfit, ranking number 1 in scoring defense. I saw them in person at Wembley when they could have taken it to OT against the Chargers, which would have put them in a few more conversations, but they are for real after holding Brady and the Pats to 10 points last week. I actually think they are a very good price on the ML and could well be worth a punt. Loving this Vikings vibe. We really need the win or the Bears are out of site for the Vikes as I reckon they’re good for another 3 wins after this and that would take them to 10-6. The Vikes have some tough games coming up. What do you think of Packers for the division @ 11/2? If they win out the last 6 they’d hold a clean sweep of division games with all 3 teams coming up. It’s kinda written for Rodgers really. This weekend once again shows how tough the NFL is this year. Near enough every damn team is competitive. Chargers laid an egg. Colts waxed the Titans after they waxed the Patriots but the Patriots waxed the Colts. I think there’s only two near likely outcomes every week. Saints will win by multiple scores and every Bucs game will do the overs whilst the back up QB throws for at least two touchdowns. Vikings good, Titans bad! To be fair, week 11 saw a lot of surprises so I’m hoping to avoid any on Thanksgiving. The favourites look right to me even though Chicago are on the road. Matt Stafford usually has a good turkey day, but this should be different with Mack and that defense coming to town. Likely without Johnson and Jones, the Lions really don’t have any offensive weapons other than Golladay. Washington head to Jerry world with Colt McCoy under centre after Alex Smiths horrific leg break on Sunday. McCoy has experience and very nearly beat the Texans in his cameo role, but for four quarters I can’t see him keeping up with the Cowboys who have been decent since Amari Coopers arrival which is freeing up room for Zeke to roam. 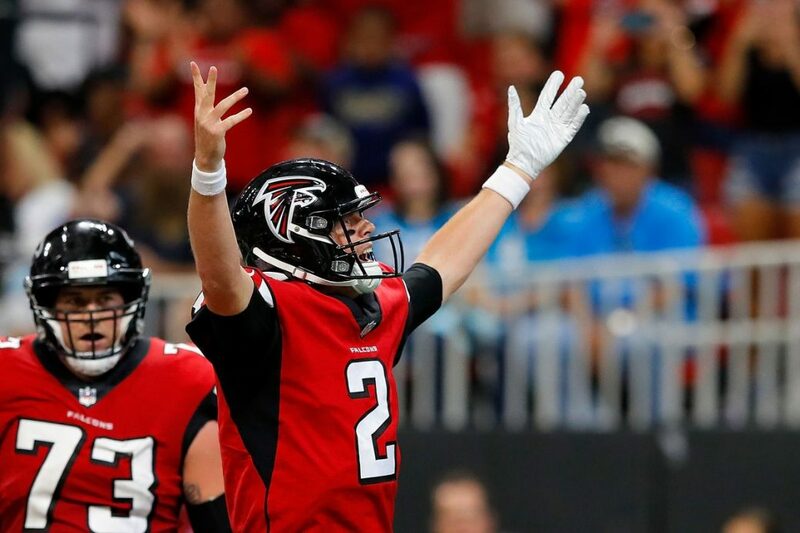 The night game sees the Falcons head to the Super Bowl favourites New Orleans who are scoring a league high 37.8 points per game (48 over their last 3). Revenge will be on the cards for Atlanta, but there is no stopping Drew Brees who is my MVP favourite. The Saints should be the second team to reach 10 wins come Friday morning so I’ll tease down the field goal win.